We are here to bring you more information about the changes and improvements of the game for this Major Update. Are you excited to know more about them? Well then, keep on reading to know more! The powerful new race of Orc has finally arrived in the Land of Aden. The Orc Race have 3 classes and special new weapons. They will start at level 180 on character creation! Enjoy adventuring the Land of Aden with our new Orc race. ■ You can select Orc Race when you create a character. • Orc Character will start at level 180. • Orc uses exclusive weapons: Two-handed Swords/ Claw / Wand. • In the character effect formula, Orc Character’s level 180 is calibrated and applied to another character’s level 1. 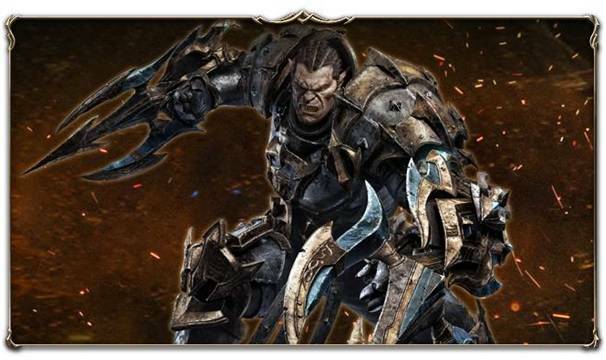 • Orc character will be able to use World Chat starting from level 190. • Orc Race’s content unlocking will be like the chart below. ■ Orc Starting Town <South Immortal Plateau> is added. ■ Orc Exclusive Mercenary’s Journey is added. – Orc Mercenary’s Journey which can help heroes strengthen their selected orc race. Servers will be merged to greet this Major Update and New Server will be added for the Orc race’s smooth strengthening. • If there are duplicate character names, a temporary letter will be added to the name that current character after the server merge and character name change ticket will be distributed. • Only the character who received the Character Name Change Ticket can pre-select the existing nickname until 10/31. • If characters “Hero@, Hero%” didn’t pre-select the nickname “Hero”, Pre-select chance will disappear and other users can use that nickname. • If there are duplicate Clan names, a temporary letter will be added to the name that current clan after the server merge and clan name change ticket will be distributed. • Clan Name Change Ticket will be distributed to clan storage right away after the server merge. • Only the clan that received the Clan Name Change Ticket can pre-select their clan name until 10/31 as same as Character Nickname. • If the pre-select chance disappears after 11/1, all clans can use that clan name or create a clan with that clan name. • If there are duplicate Alliance name, a temporary letter will be added to the name that current clan after the server merge. • Alliance name can be changed once through Clan Alliance Menu. • Only Alliance that has a temporary letter can pre-select the existing Alliance Name until 10/31 as same as Character Nickname. • Pre-select chance will disappear after 11/1, if no one changes their alliance name, other alliance can use that alliance name. • Daily Diamond Benefit remaining days can be extended and topaz can be added. ex: 10 days left from Server A / 20 days left from Server B → A+B server merged to AB and all in all, it will be extended to 30 days. You can receive the diamonds after it. • Unclaimed Benefit items for 9/11 (Tue) due to Maintenance will be sent to the mailbox after the opening of Servers. ※ Due to Server Merge, all ranking will be reset. • Existing total Honor Points and Arena Honor Rank will remain. • Arena Winning Streak will also be reset. ※ All Talking Island’s Fortresses will be deleted. ※ 10th Week Conquer Reward will be given to the clans who occupied the fortresses depending on their grade. ※ Fortress & Castles occupy status will be reset due to server merge. ※ Due to reset, Clans that occupied Light / Darkness Castles will receive Red Diamonds to their clan storage based on the Castles of Darkness’s Tax. Accessory that each has its own attribute effects! 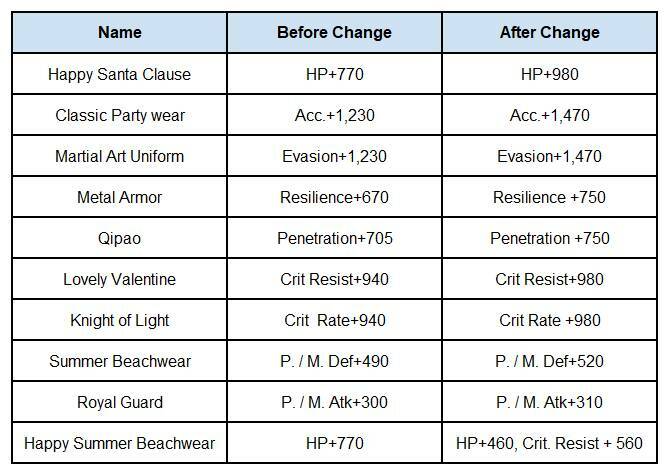 Aside from the accessories that you currently equipped, other accessories’ attribute will be applied. • Auxiliary Accessory system will be unlocked once you reach Level 150. • Auxiliary Accessory slots can only be occupied by other accessories that are not equipped to your main slot. • Attribute, Set Effect, Stat, and soul crystal effect of the Auxiliary Accessory will apply based on fix ratio. Additional attribute to previous accessories will be granted. Show off your own battle style in the battlefield by selecting your strategic accessory! You might have experienced a hard time finding a party due to incompatible party matching. But, with this all server matching, you can now enter dungeons fast and easy. – When a party is organized through “Automatic Entry”, the number of missing people will be filled using the All Server Matching system. – Features like Friend Request, 1:1 conversation, etc., will not be available to users from another server. – Characters A and B on different servers in the same account cannot apply for all server matching at the same time. – Any change in party members, such as joining or leaving the party during the matching will result to cancellation of all server matching. – Purchasing/selling of certain items is restricted within the dungeon that you entered using this system. – For Honorable Battlefield, New Server Players will be matched with players from the New Server and that goes the same with the existing server. A skill that creates a shield that can protect the user for a certain amount of time. 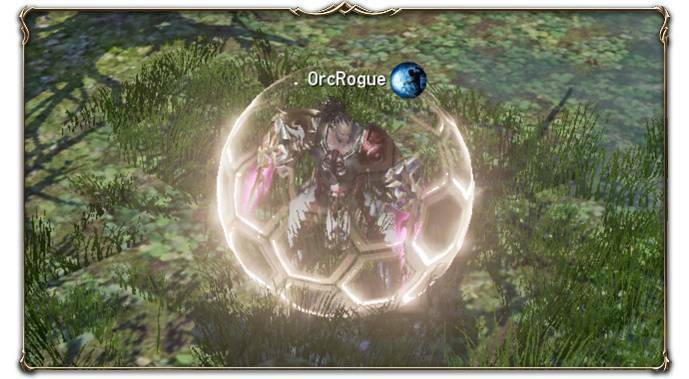 This rare skill can increase the user’s attack power while the protection is ongoing will be added. 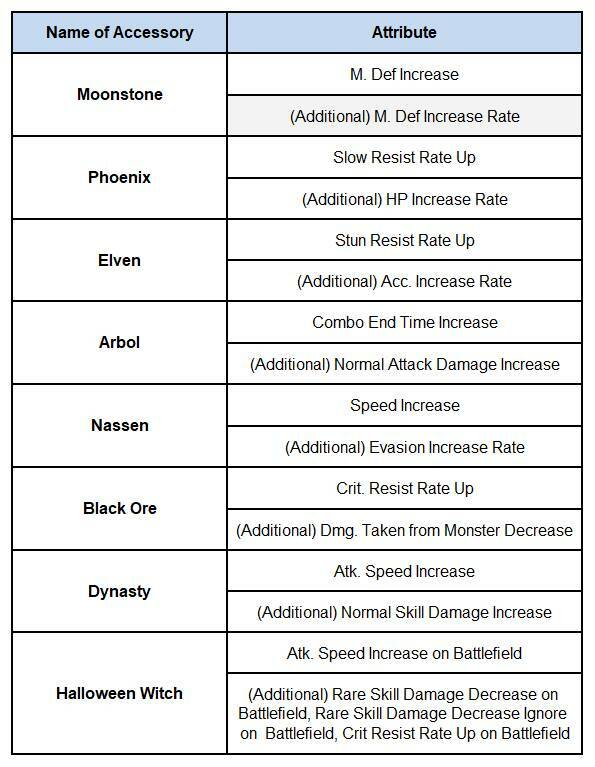 – Field / World Boss Skillbook Page Drop Rate Improvement. – Items related to Rare Forgotten Scroll Page is added to Clan Shop. The rare skill “Impact Barrier” is included in the Highest-grade Forgotten Scroll Page Box. Clan system might be unfamiliar to those who just started playing Lineage2 Revolution. So, Land of Aden’s clan academy has been added to make New and Returning heroes adjust easily. – When you reach level 10~260, you can join/leave Clan Academy same as a normal clan. – You can graduate and receive Clan Academy graduation gift once you have reached level 260. It’s either you are in Clan Academy itself or by creating/joining normal clans. ※ Graduation gift will be distributed once per character. ※ Rewards will only be distributed upon achieving the graduation criteria of you are a member of clan academy. – Attendance check: if the clan member logs in and do the attendance checking, a reward will be distributed on the following day based on the number of members attended. – Donation: You can obtain clan coins or clan contribution points if you donate Adena, Proof of Blood, and Red Starstone. – Greeting clan members: Among the clan academy members, 15 of online members will appear randomly and you can greet up to 10 members per day. ※ You cannot receive greetings in Clan Academy. – Limitation of purchasable items will be removed depending on each character’s level and you can purchase those items using clan coins. -Higher level of clan buffs can be purchased depending on the character’s level using clan coins. – Lord’s Buff will be applied automatically to the clan members every day for those who are online in the game during the selected time. 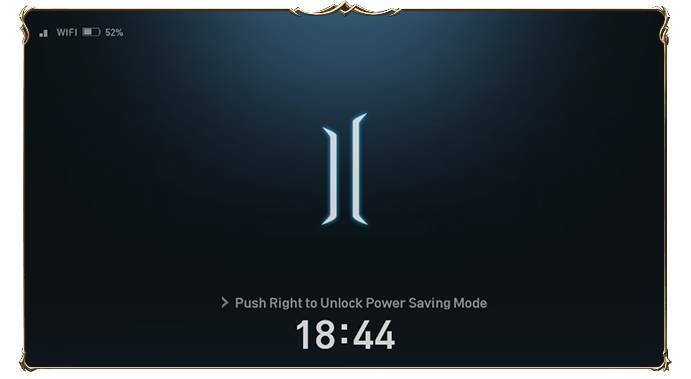 ※ Lord’s Buff will remain for 1 hour after the buff is granted. ※ Lord’s Buff will remain even if your character died. – Clan prize will be distributed automatically every Monday based on the character’s level, attendance rate, and contribution points. – Clan prize will only be distributed to clan members who have Attendance history during the week based on the distribution time. -Selected dungeon will be opened from Monday to Friday and a maximum of 50 players can join through registration. ※ Clan dungeon rewards are obtainable once per difficulty only. ※ You can proceed to the next difficulty once you clear the lower difficulty of clan dungeon. – Merchant: You can obtain rewards every day in merchant using gift potter’s wheel. – Fireplace: Fireplace in clan hall will be activated for 10 minutes every Sunday during the selected time. 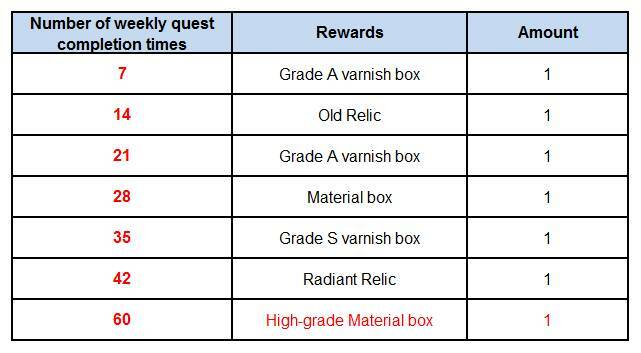 Rewards for the previous weekly quest completion and the number of progression time have been simply improved. – Weekly Quest completion reward. ※ Claiming rewards will be the same as the previous one. Maybe some of you, Heroes, have experienced getting your mobile phones hot while your screen is on due to auto-battle. so, we added the Power Saving Mode to protect your mobile phones. ■ You can set the Power Saving Mode by selecting auto start and manual start. – Auto Setting: You can set the time when you tap Settings > Device > Power Saving Mode and if you do not click or control anything during the scheduled time, the Power Saving Mode will automatically be activated. – Manual Setting: Power Saving Mode will be activated once you tap Settings > Power Saving Mode Menu. ■ Obtained Adena and items will appear as a pop-up once you end the Power Saving Mode. ■ Pop-up will appear on certain situations during the Power Saving Mode. – If you log in to another device while your character is already online. – If you were logged out due to not doing anything for a long period of time and didn’t do any battle with others. – If you are disconnected from the server. – If the network is unstable. – If your character died. – If the vacant slot in your inventory is lower than 20 slots or if the inventory is full. – If the HP Potion lowers down to less than 50 or if there’s no HP Potion left. – If the MP Potion lowers down to less than 50 or if there’s no MP Potion left. – If the character leveled up. – If Weekly/Sub quest has been completed automatically. ※ If you have received more than 10 alarms, the older alarms will be deleted. The Reward Claim System which you can receive rewards on modes that Heroes failed to on the previous day. 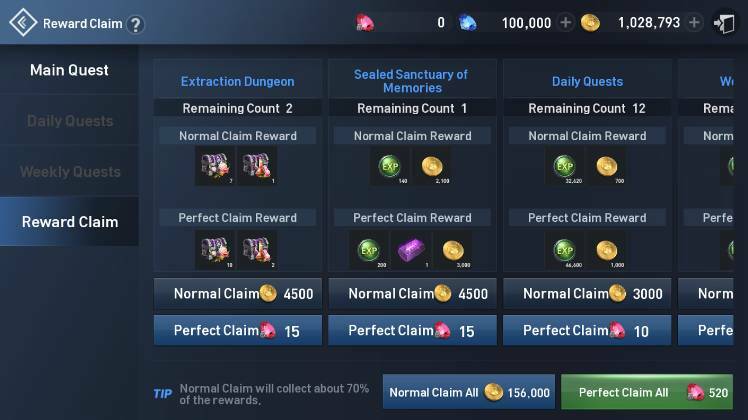 – You can see the possible rewards for Perfect Claim and Normal Claim on the Reward Claim menu. – Required Adena and Red Diamonds for claiming the rewards will be decreased. – Rewards obtainable for Normal Claim (claiming using Adena) will be increased. 1. You can activate Auto-progress when you are on the Tower of Insolence lobby. 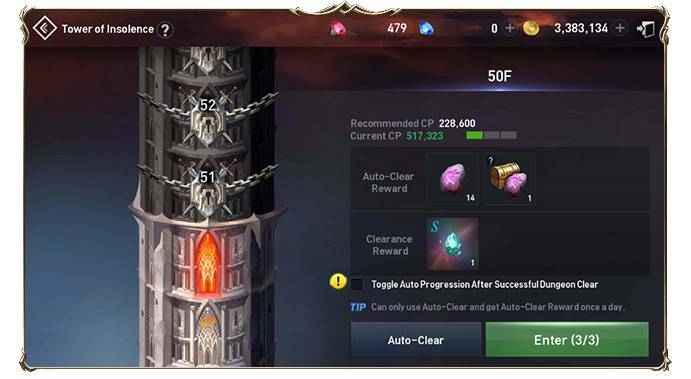 Auto-progress will automatically move you to the next clearable floor once you have tapped the checkbox for the Auto-progress function. – You can automatically proceed on the Main quest by tapping the Auto-progress button. – You can set to skip the NPC dialogue messages, auto-resurrection, and the range of teleport. This can be done by tapping the Settings button while on Auto-progress mode. – You can use the Auto-progress function once you have completed the Main Quest 1-2 Orc Hunters Assemble! Episode for previous races. – You can use the Auto-progress function once you have completed the Main Quest 15-1 Orc Market Pioneering Episode for the Orc race. – All costume’s stats effect will be stacked even if you do not equip the costume. – You can join to party within a radius of 60 meters from a character. – You can invite other players to your party within a radius of 60 meters. – You will join to nearby party randomly when you tap the Quick joining system and “There’s no nearby party for quick join” pop-up will appear if there’s no party. • You can now do “Capture the Flag” in Clan Hall. 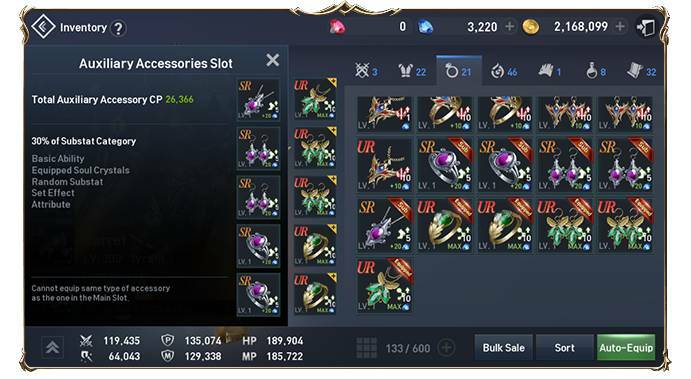 • Equipment Bulk Sale function has been improved. • Pet Equipment / Soul Crystal History function will be added. • 2 Weeks Weekly Login reward will be added. • Clan Shop improvements (Individual/Clan classification, Gift/Clan Leader Shop tab name change). • Quick party matching function will be added. • Touch effect while touching the interface will be added. 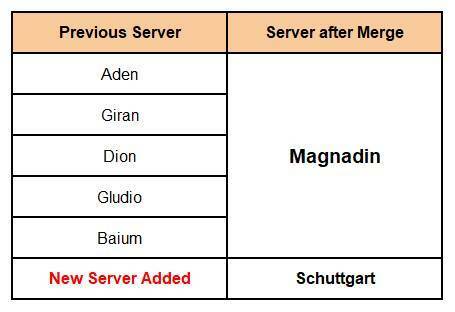 • You can now teleport to Magnadin while on Elite Dungeon, Extraction Dungeon, and Clan Hall. 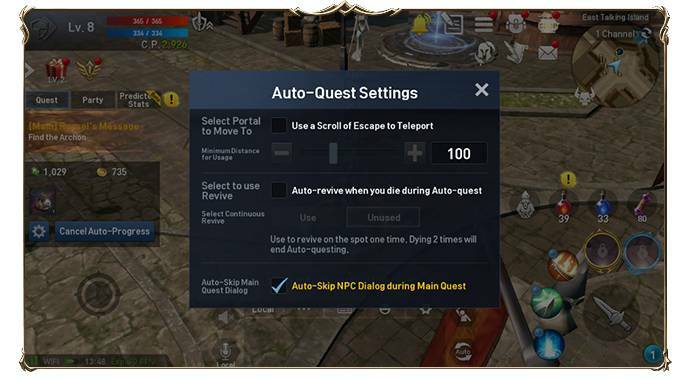 • Stuck issue between NPC and player during auto-quest has been fixed. • New 22 emoticons will be added. 6 slots will be available for quick chat screen. • Sub-stats for Marine Look costume added. (Penetration +500, Evasion +540). 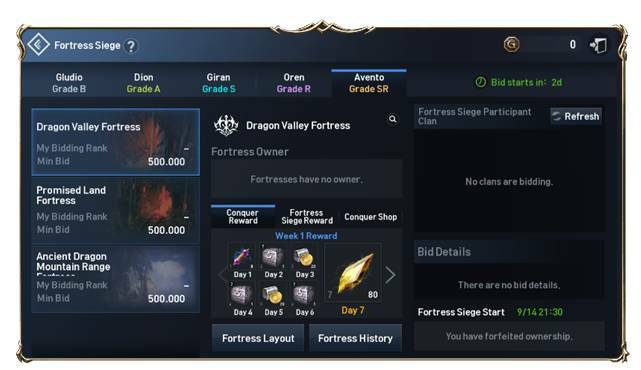 • Mount Pet Horn Flute salvage reward Advancement Stone will be changed into Mount Pet’s Summoning Stone. We hope that you’ll enjoy this latest Update. Hey Buddy!, I found this information for you: "[SEA] 9/12 Update Details". Here is the website link: http://l2revolutionworld.com/sea-9-12-update-details/. Thank you.